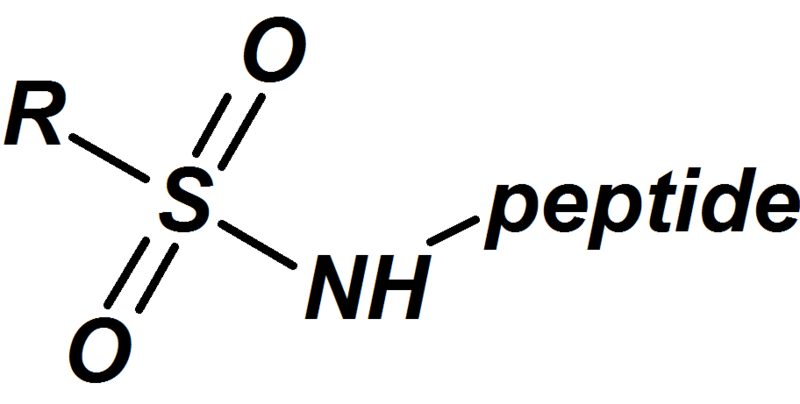 Chemically synthesized peptides have free N-termini. Via N-terminal acetylation the charge is removed from the amino terminus of a peptide. Generally, acetyl modification is recommended to make the peptide more closely mimic the charge state in the native protein. In addition this modification stabilizes the resulting peptide, and enhances their ability to resist enzymatic degradation by exopeptidases. A multitude of N-terminal modifications can be applied by Pepscan’s peptide synthesis experts. Frequently applied N-terminal modifications are listed in the table below. Our N-terminal modification options are not limited to the ones listed. Additional modifications are available upon request, please inquire here.